The Lightning LS-218, produced by the Lightning Motorcycle Company is best described in their own words. The LS-218 comes in three models, powered by 12 kwh, 15 kwh and 20 kwh battery packs which supply 110 km, 140 km and 170 km of range respectively. This supplements the ample 200 horsepower drivetrain, helping the electric superbike attain a production grade top speed of over 200 mph. 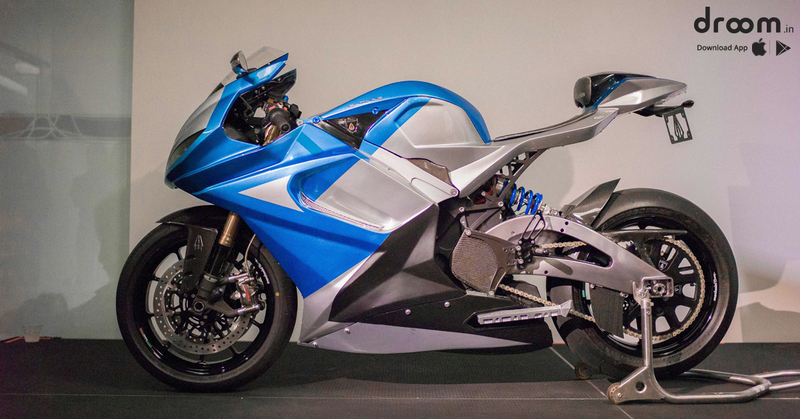 Lightning Motorcycles CEO, Richard Hatfield put 9 years of competitive racing experience to create an electric motorcycle that could rival any gas powered motorcycle. Yet despite his praises for a variety of the bike’s operation, design and technical ability, Coldwells maintains that it is a much better performer than any electric bike he had ridden before. With the key word being, electric. Droom Crazy Car Offers: Save Up To ₹45,000! I see your website needs some fresh & unique articles.